Have you ever heard the phrase, "money makes the world go round"? Well in project management, a generous project budget truely makes delivering a project much, much easier! Now in the good old days project budget didn't really matter. You simply thought of a number, multiplied it and added a zero on the end and then promptly ignored it completely. Few Organisation were bothered how much you spent as long as the project got delivered on time amd more or less worked. This was especially true during the dot com boom when literally you couldn't spend money fast enough. Now this is definitely something to bear in mind when the good times return. However in the current climate you will be unsurprised to learn that Organisations are paying a much closer scrutiny to the budget for a project and how the project cost estimation has been done. Therefore you need to pay much closer attention to this part of project management, but at the sametime be aware, that there are tricks of the trade which experienced project managers use to attain a contingency approach to budgets which means they can cover any eventuality which arises. 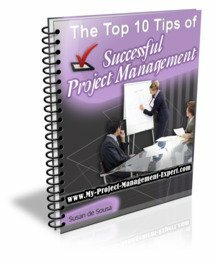 Now as in all parts of project management, there are a number of key elements which make up a project budget. Miss any stage and you are setting yourself up for trouble which it is hard to get out of. After all if you are lacking resources, you can usually beg or borrow some; if the timeframes go awry you can usually de-scope something; but if you run out of money, well there are few Organisations who in the current climate won't demand a pound of flesh in return for advancing you more to keep your project going! Clear Project Management Requirements and at the very least an approved Business Requirement Specification (BRS). Once you have these you can go and start estimating project costs which in turn will make up the project budget. "so what do think the project time and cost will be? I just need a ballpark idea......". Now this is a lose lose situation. If you give a high figure the project management stakeholders and project sponsor will look at you in horror, which will immediately cause you to drop it drastically. If you give them a low figure then you are simply shooting yourself in the foot. So do not fall into this trap unless you are an experienced project manager, because any ballpark figure you give will instantly be grabbed upon by Project Sponsor's as being a realistic cost for the project. In a blink of an eye you will find it being touted around as fact which you will then be expected to deliver the project for because after all that's what you though it could be delivered for. And having to do that really is a soul destroying experience, and is more than enough to put you off project management for life!